Ignoring the self-contradiction in the title, is there documentation for packages such as Algebra, which probably contains lots of useful functions? (The only one whose functionality I'm familiar with from other question is MatrixPowerMod). Also, is there a list of other such undocumented packages anywhere? Finally, at least for Algebra, how can I load it? 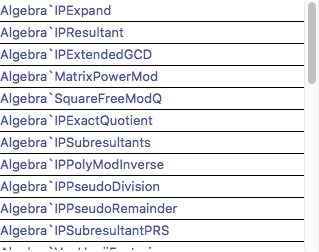 The usual Needs["Algebra`"] fails. I assume these things are undocumented because Wolfram doesn't promise to support them in future releases. So first off in general, no. But for some packages this can be circumvented via autogeneration (e.g. what I post here). What are recommended guidelines for developing packages? 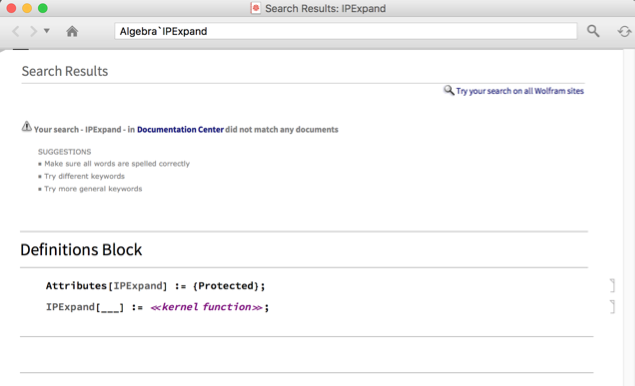 Any packages for vertex enumeration on Mathematica? Geometry computations add-on for Mathematica?